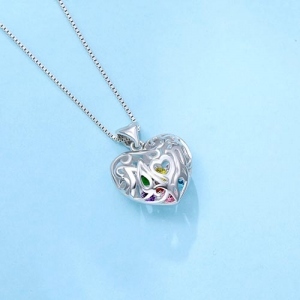 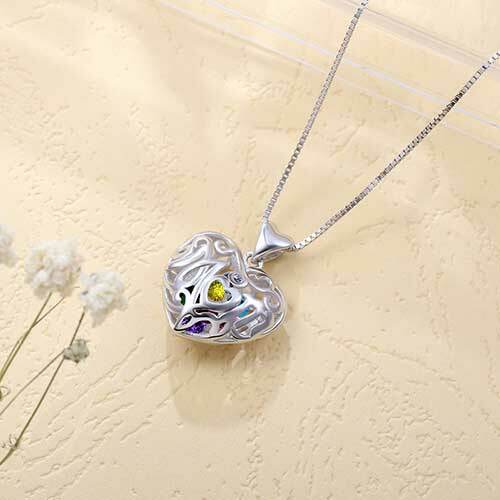 Show Mom the special place she has in your heart with a stunning Heart Cage pendant! She's sure to fall in love with this pretty design, with the word "Mom" cleverly written in cursive in the shape of a heart. 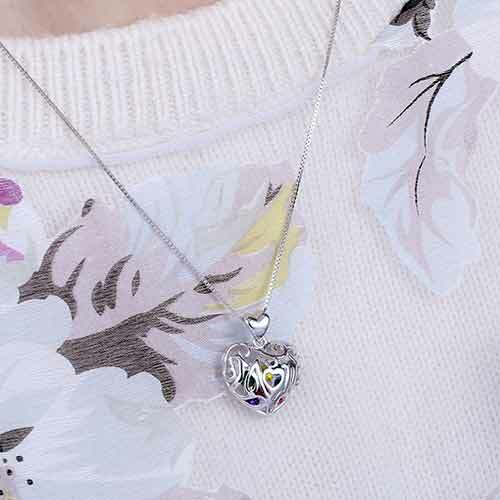 Made of 100% 925 sterling silver, this mother's heart-shaped cage can be personalized with one to eight 4.0mm birthstones of your choice, floating within the pendant's cage design. 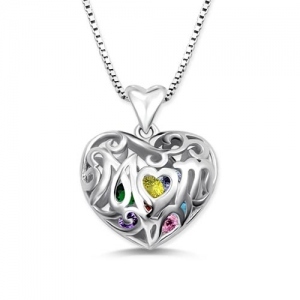 The sparkling heart-shaped birthstones to represent her family and loved ones.It is a perfect personalized necklace to send for your mother's birthday or Mother's Day! 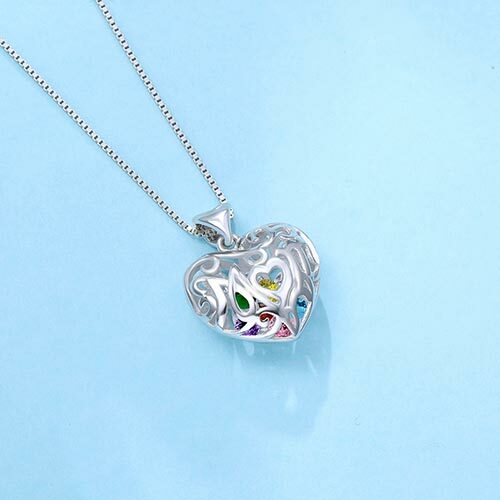 Or anytime you want to say "Thank you" to an amazing mom.